We've just released our own idler pulley kit to replace the air pump on an FD which is necessary to keep proper contact on the water pump pulley. This piece is engineered like the rest of our products: direct fit, aesthetic design, and quality components. We know that there are a lot of variation in turbo placement so we have a pdf available to test for fitment on your setup before purchasing. This was one of the main design considerations. 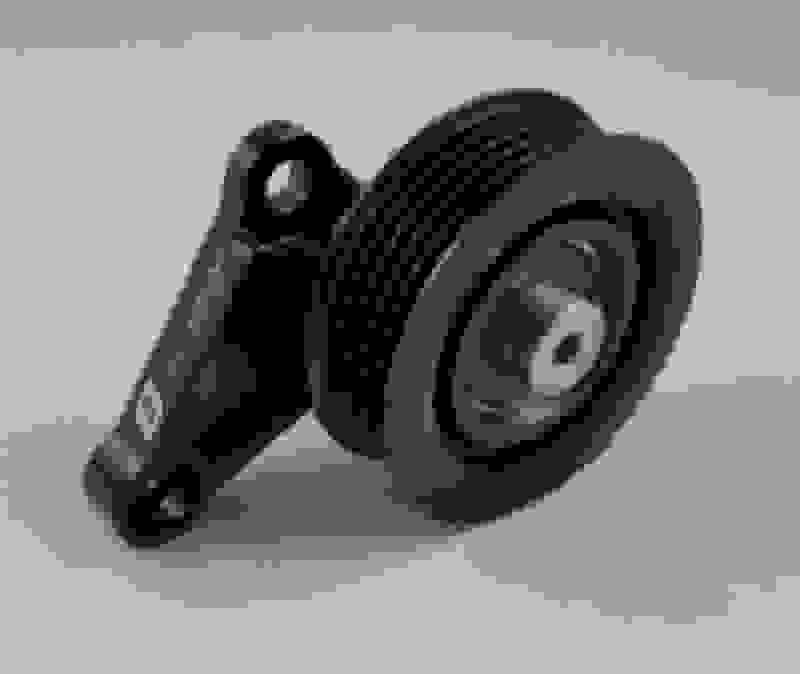 The pulley and bearing are an OEM piece designed to handle high RPM. Also, the pulley size on ours is larger than most in order to keep the speed of the bearing lower. Last edited by FullFunctionEng; 10-30-15 at 12:51 PM. Purchased. Should go nicely with your rails and trigger assembly. Any chance of doing a group buy on these?